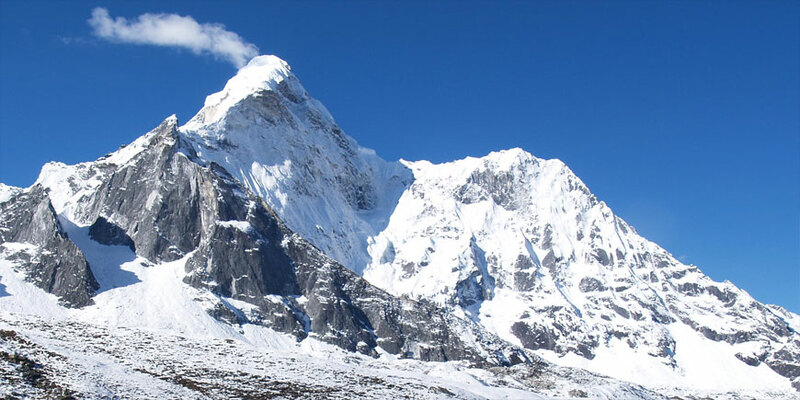 Ama Dablam (Mother’s power) is one of the most beautiful mountains in the world, and we recognise that an expedition to ‘the Matterhorn of the Himalayas’ is more than just a climb: it is a journey into the heart of the Himalayas. Located in the Khumbu valley, only 12km from the summit of Mount Everest, Ama Dablam demands the attention of every passer-by. Soaring ridgelines and super-steep faces guard the summit from all but the experienced climber. On the summit you are surrounded by a vista like no other: five of the highest six peaks in the world are clearly visible. 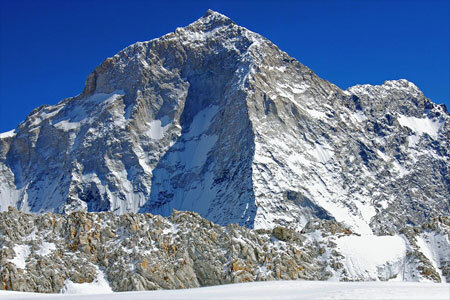 The first ascent (via the Snow Ridge) was not made until the mid-1950 by a strong NZ/USA team. The north ridge fell to a talented French team as late as 1979. In recent years many parties have successfully climbed the mountain, with nearly all ascents following the original, Snow Ridge, route. More recently our director Duncan Chassell has led five expeditions to the peak giving us a very detailed knowledge of the route and logistics required to be successful. 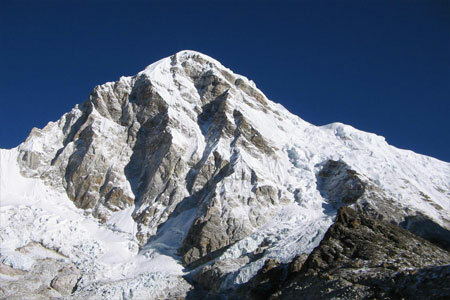 The ascent from Base Camp to Camp 1 is considered one the difficult days of the expedition. We follow old grassy moraine ridges, crossing a saddle and then turning north to climb up rocky ground to the ridge where Camp I is set up. From the camp, at 5,200m, we cross a rocky bowl and climb the ridge, frequently alternating sides as we follow fixed ropes to reach Camp 2 at 6,000m. The ridge involves severe rock climbing followed by steep gullies with a mix of rock, ice and snow. The route to Camp 3 climbs to an amphitheatre and then goes through a steep snow and ice runnel to reach the snow ridge to the camp at 6,400m. 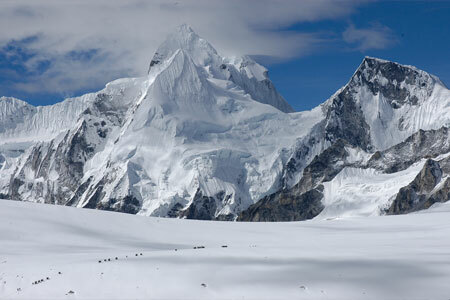 To reach the summit from Camp 3 involves steep climbing on snow and ice to the right of a huge hanging glacier. 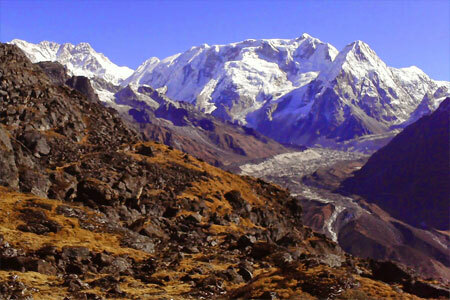 Day 04: Fly to Lukla trek to Phakding 4 hrs (2640m) overnight at (Lodge). Day 05: Phakding to Namche Bazaar (3446m) 6 hrs (over night Lodge). Day 06: Rest for (acclimatization) visit khumjung, Khungde over night Namche Bazaar. Day 07: Namche Bazaar to Tengboche Monastery (3800m) 6 hrs (Lodge). Day 08: Tengboche to Pangboche (3900m) 3 hrs (Lodge). 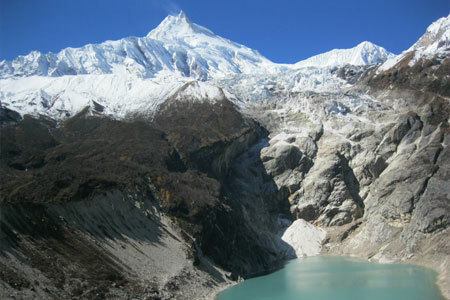 Day 09: Pangboche Mt. Ama Dablam Base Camp (4600 m) 5 hrs (Tent Camp). Day 10: Settle Amadablam Base Camp. Day 11-26: Mt. 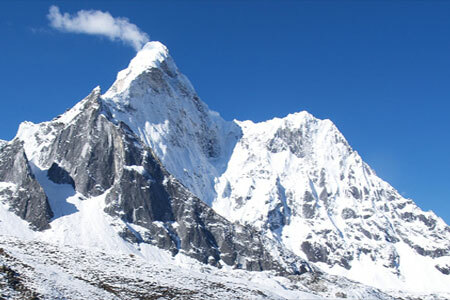 Ama Dablam Climbing Period. Day 28: Amadablam Base Camp to Tangboche (Lodge). Day 29: Tengboche to Namche/Monjo (Lodge). Day 30: Trek to Lukla. Overnight in (Lodge). Day 31: Fly back to Kathmandu Hotel. Day 32: Free day in Kathmandu & farewell Diner. Day 33: Transfer to International Airport and fly home.